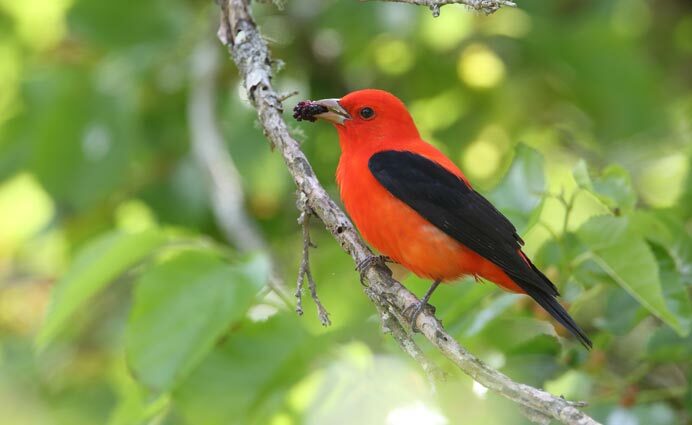 The Environmental Education Center Naturalists offer a variety of birding programs such as guided walks on our trails, day trips to near-by parks, and overnight trips throughout the year. Most programs are designed for adults, but specific programs are offered for families and teens too. All levels of birders are welcome to join the fun! The fall bird walks are back and better than ever! Join a Naturalist on a trek along our trails looking for the migrants that pass through our area on their journey to Central and South America. These walks will be offered two Saturdays in October to catch the end of fall migration at Lord Stirling Park.